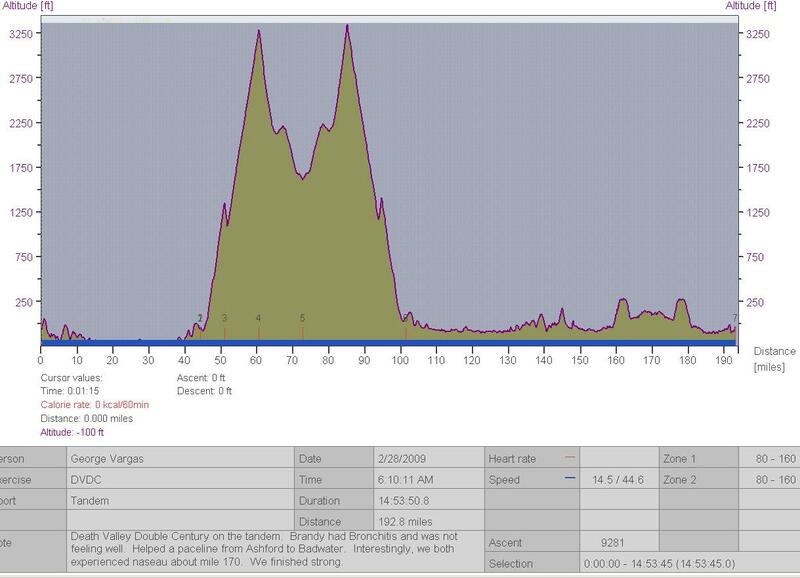 Brandy and I did the Death Valley Double Century on Feb 28, in a sub 15 hour time. It was much tougher than I remember it when riding it solo. The climbing was much tougher on the tandem. It marks my 19th Double Century. I love riding in Death Valley. The scenery is spectacular. We were fortunate to have a very mild day. It was slightly overcast and I don’t think the mercury rose above 85F. Brandy was a real trooper as she suffered from undercarriage issues. We both suffered from nausea but that expected at least once in a 200 mile event. Chris Kostman puts on a fantastic event. It is very well supported. The aid stations are all in the right place. Thanks to Hammer Nutrition we felt well fueled all day. If you haven’t ridden in Death Valley you have to put it on your short list of rides to do. 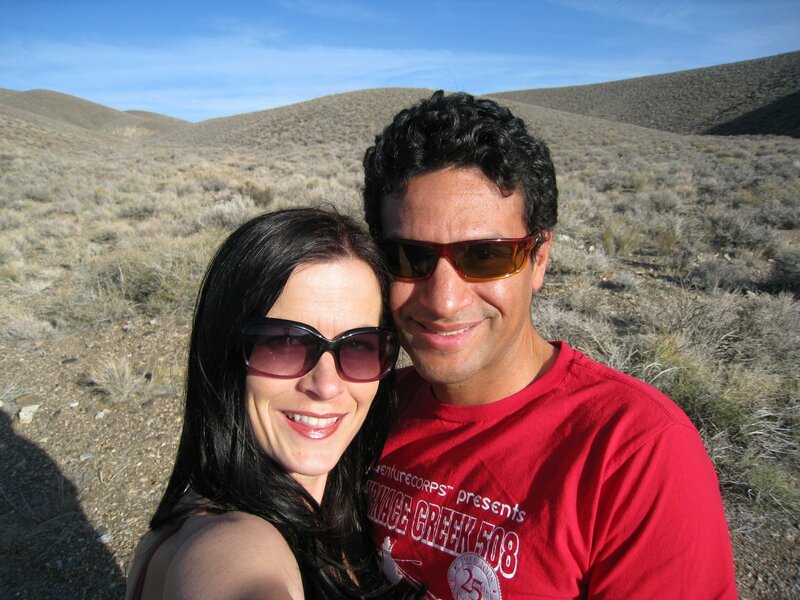 AdventureCorps is offering yet another opportunity to ride in Death Valley on April 18th. It is a century ride with other activities. It is called the Hell’s Gate Hundred. There will also be a Fall Double Century and if you are an Ultra Cyclist you should try and tackle the Furnace Creek 508! I haven’t done a slide show for the Death Valley Double Century. But here are a few pics from the weekend. 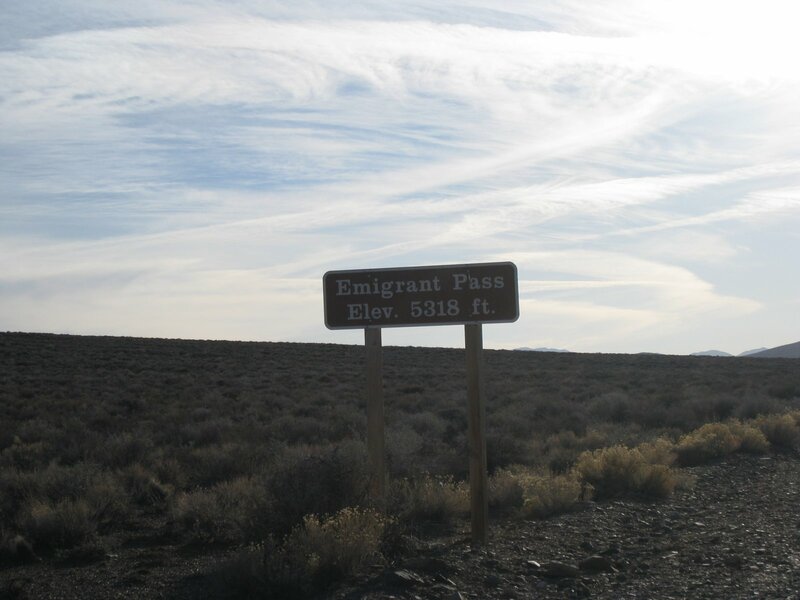 On the drive in to Death Valley we took Chris Kostman’s suggested a more adventurous route up through Emigrant Pass. It was a very good suggestion and we thoroughly enjoyed the “off the beaten path” directions. I longed to get on my bike as we climbed up to Emigrant Pass. The morning of the double century. The highest point of the event don’t forget to add the an additional 282 feet– the amount of feet we were BELOW sea level at Badwater. On the drive home we took a different route and took Townes Pass out of Death Valley. Ever wonder why the climb up Townes Pass hurts so much on the 508? Well this sign tells quite a story doesn’t it? 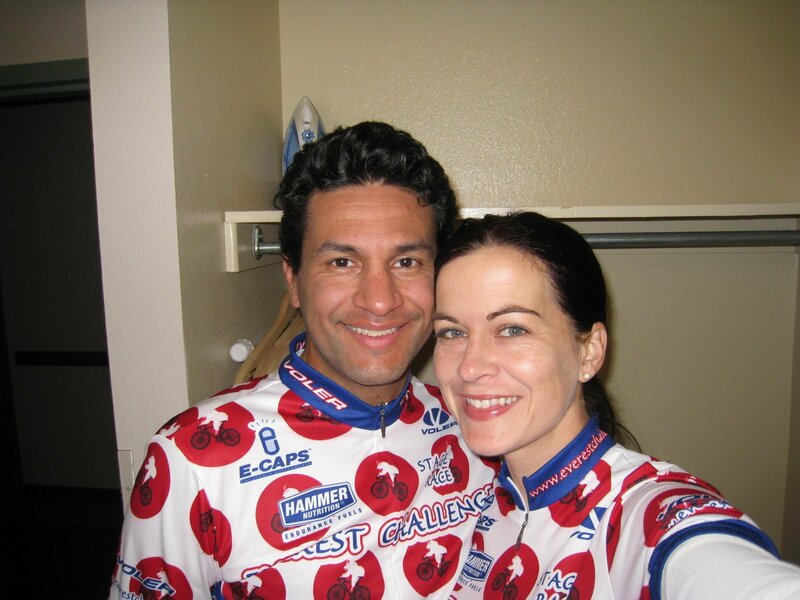 This entry was posted in AdventureCorps, Brandy, double centuries, events by REV Cycling Directeur Sportif. Bookmark the permalink. Enjoyed your insights into these fantastic climbs. I live in San Jose and am gearing up for Everest Ch. this coming week. Been training here in the South Bay and then hop on over to Visalia to train on Mineral King Rd and I agree it’s a steady, relentless whopper of a climb. Hopefully I can finish EC this year. Welcome John! Thank you for reading my blog. How did find it? If you have climbed Mineral King then you can handle anything that comes your way. Everest Challenge is a very difficult race. But one thing people can’t train for, unless they recon the course, is the length of these climbs. It’s very hard to find 22 mile climbs in your neighborhood. 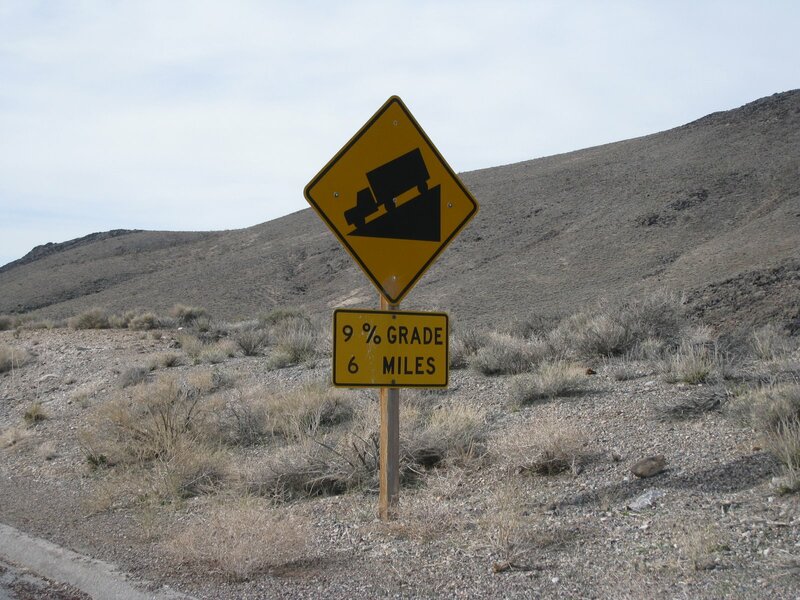 Let’s say you find a 22 mile climb in your area how many of them have sustained sections of 8-9%? You’ll do fine. Don’t push it unless you feel good and then her rip! !